It's finally here. 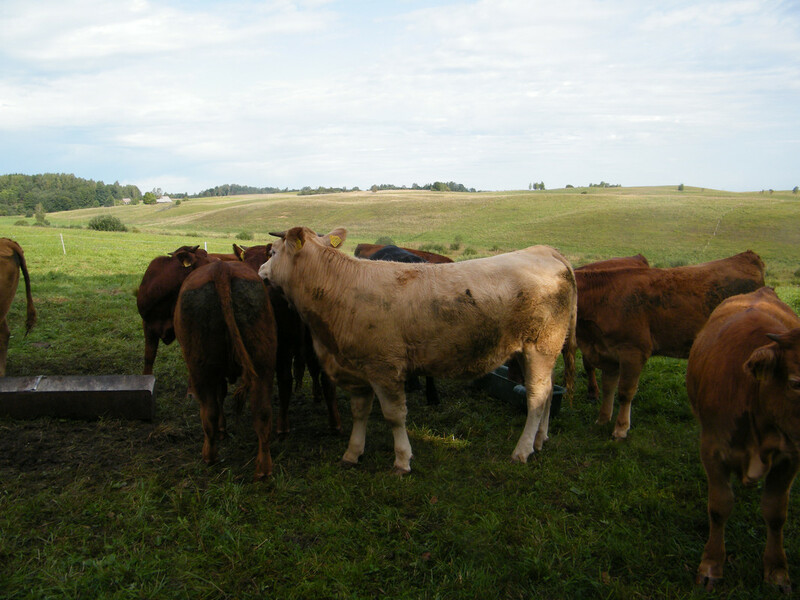 Weaned some heifers and bull calves. Preparing for the next calving season. Will have much more calves for weaning in a couple months time. 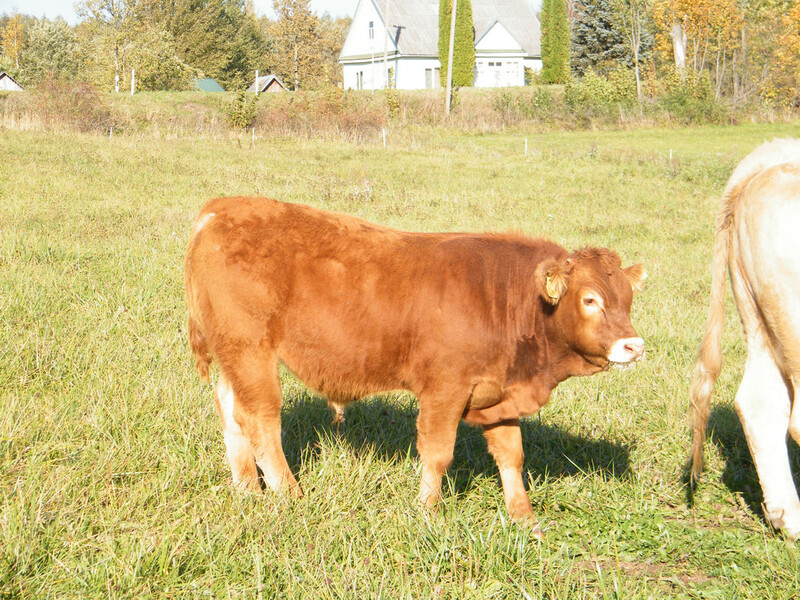 Yearling heifer weaned in spring. Yeah, it was a right time to wean some. 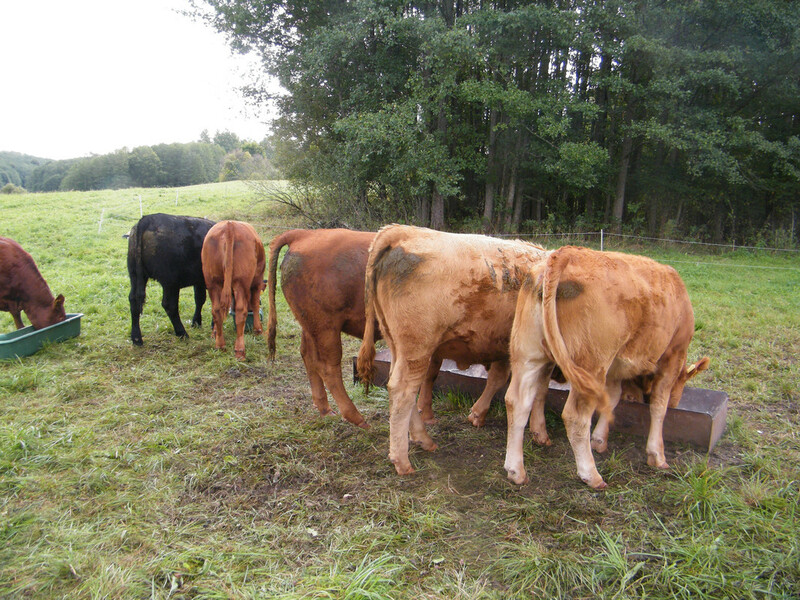 Weaned only three bulls now. Will wean some more when we'll be ready to send them all for export. 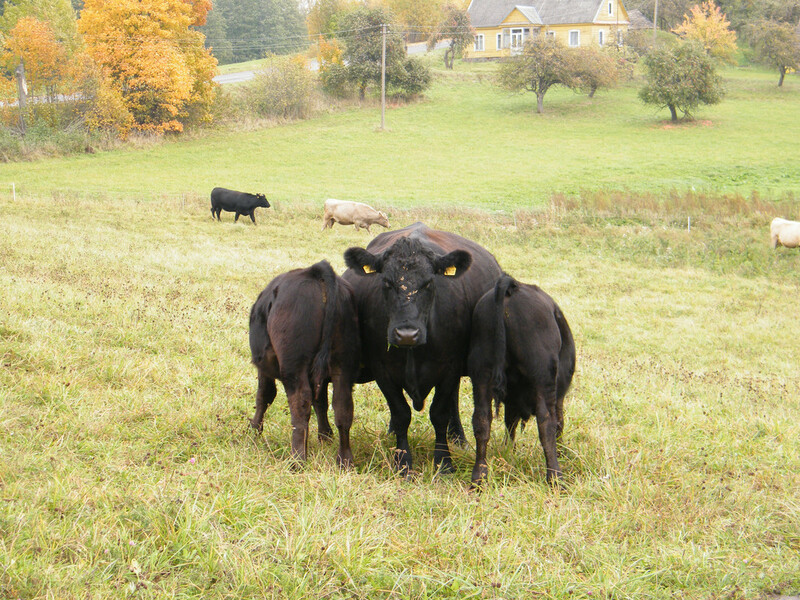 These three will spent some time with elder heifers. Will work as testers to see if all are incalf, especially one. She's way to hard to spot in heat. They look great.. I like the one in the 3rd pic, right side (I think it's her in the 4th pic too?).. Nesikep wrote: They look great.. I like the one in the 3rd pic, right side (I think it's her in the 4th pic too?).. Yes, she's in the 4th photo and in the 6th photo her rear is facing the camera. She's actually a twin with a golden heifer standing next to her in the 3rd photo. Both twins. Photo taken this month. Nice. Looks like cow heaven over there. 5S Cattle wrote: Nice. Looks like cow heaven over there. Thanks. They enjoy this place too. 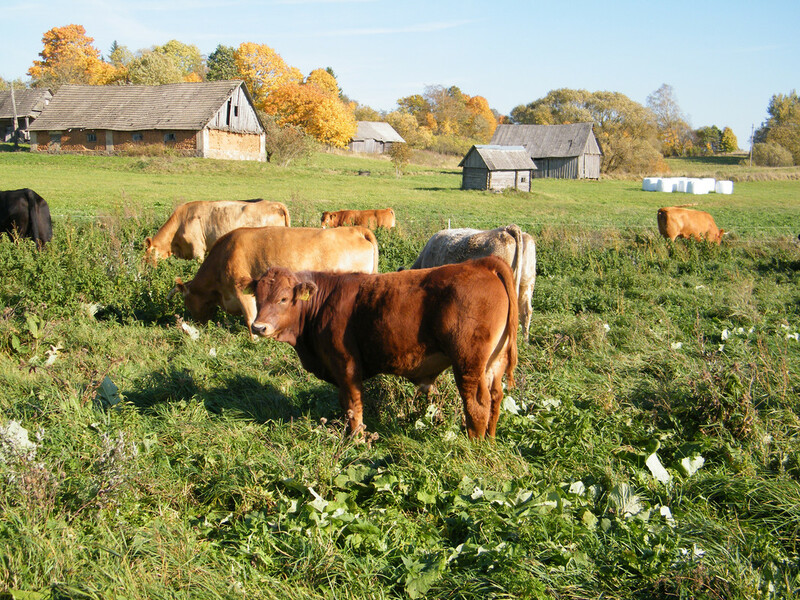 lithuanian farmer wrote: It's finally here. 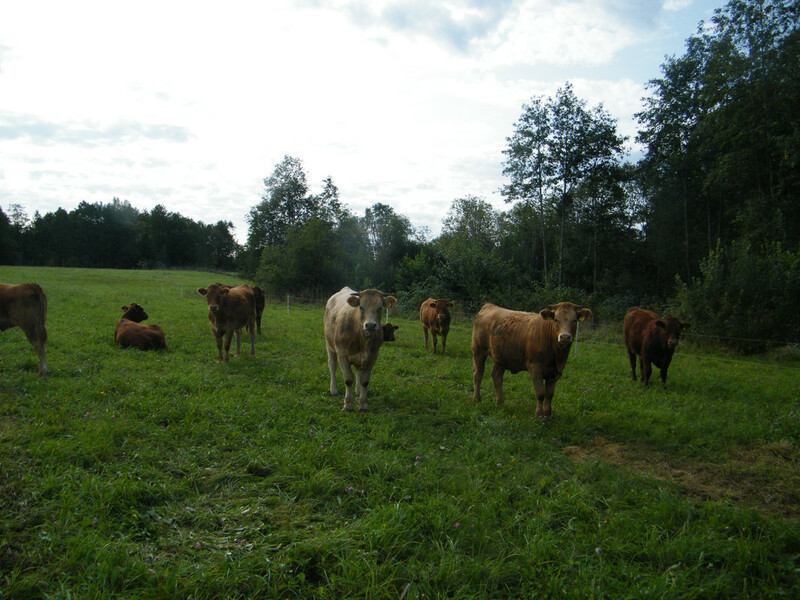 Weaned some heifers and bull calves. Preparing for the next calving season. Will have much more calves for weaning in a couple months time. When you say you will send the bulls for ''export'', do you mean out of your country? I thought you always raised your bulls for the ''factory'' or meat? 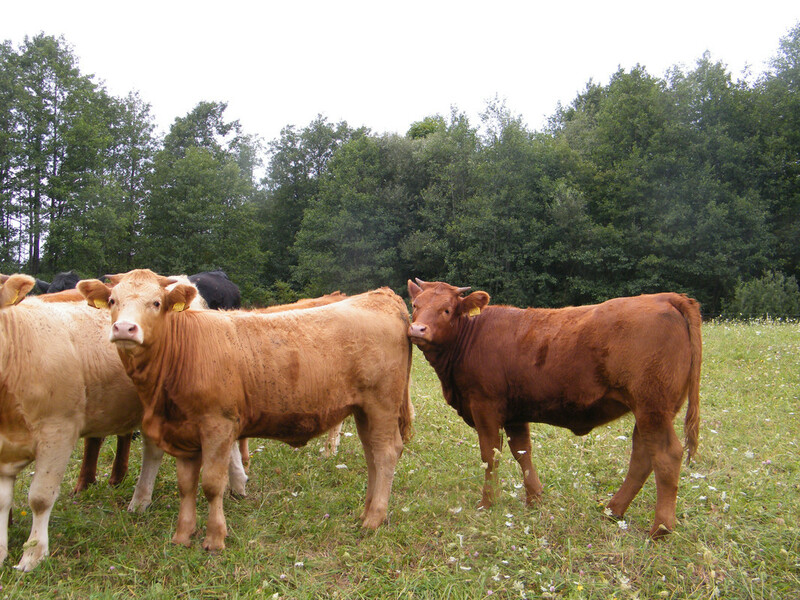 mwj wrote: When you say you will send the bulls for ''export'', do you mean out of your country? 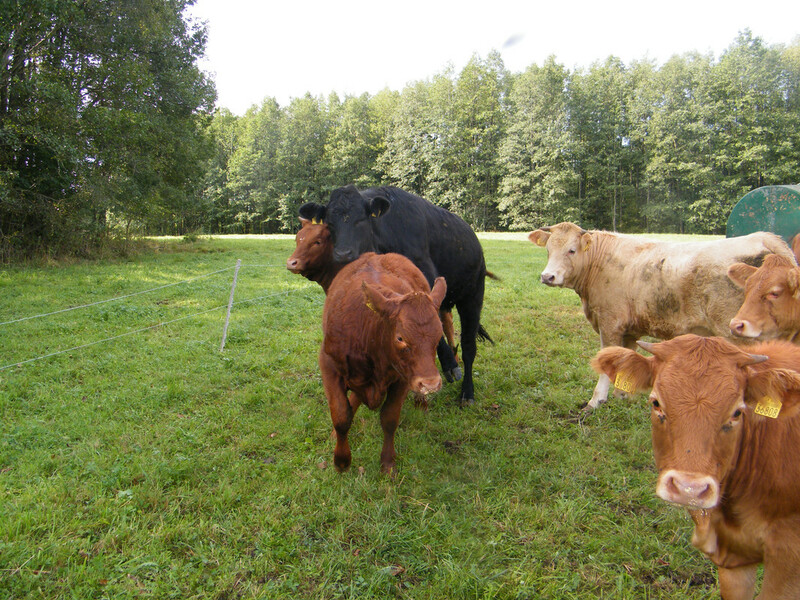 I thought you always raised your bulls for the ''factory'' or meat? Yes for both. 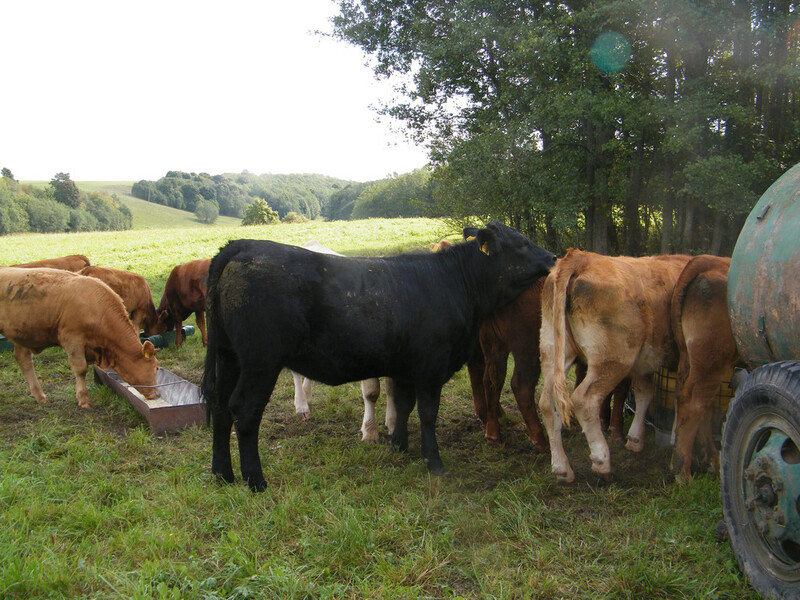 Up until now we used to fatten bulls ourselves. But with the current situation, no place to keep them for the winter and grain price is much higher than last year, have to do so something, so decided to sell weanlings. 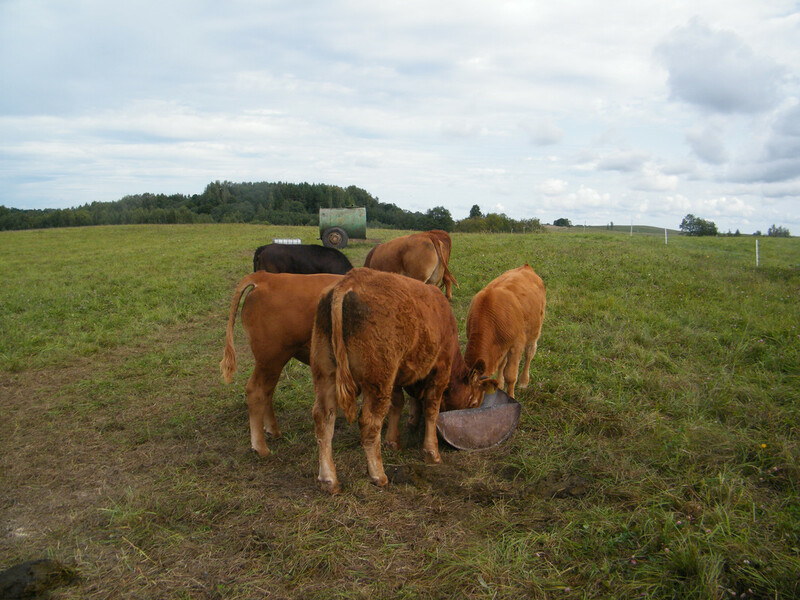 Will try to search if there is anybody paying well for weaned heifers, so might sell some too. 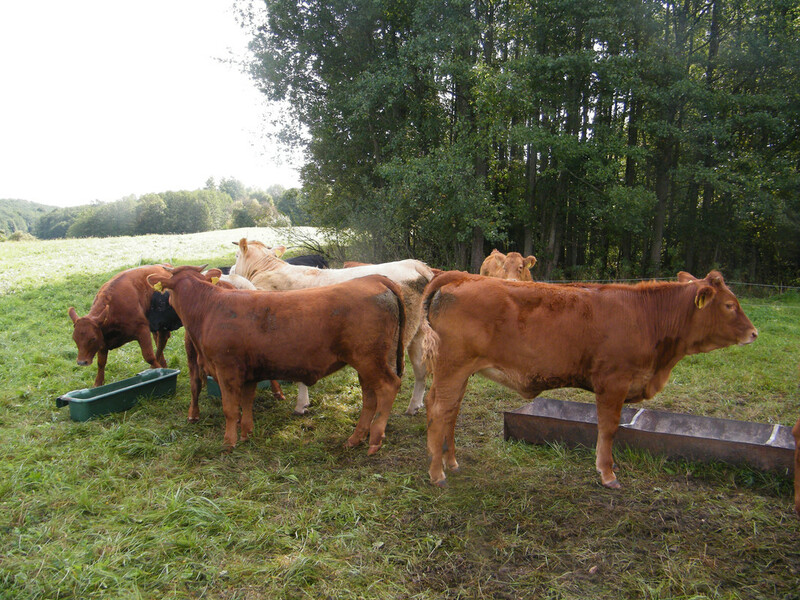 Also our current bull's offspring is a bit lower quality than the previous bull's, so better sell them as weanlings. 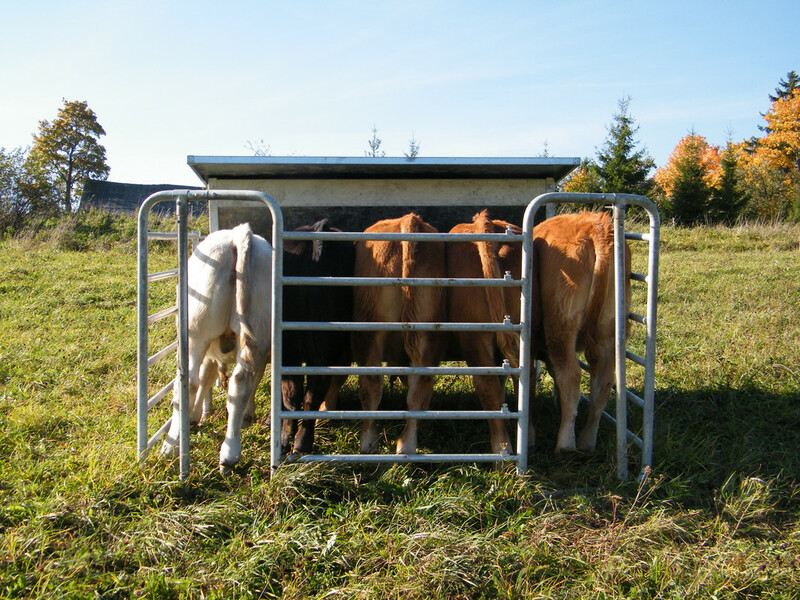 Elder calves will be weaned and sold this week. 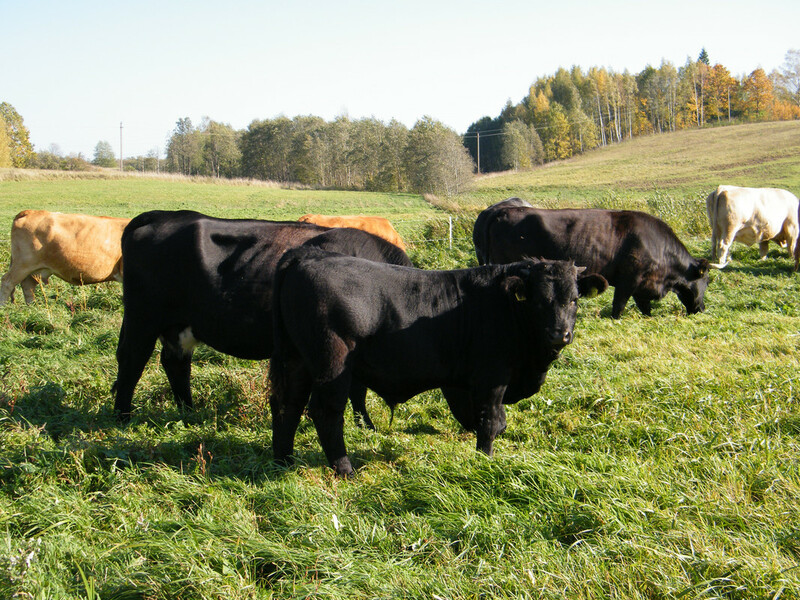 Agreed on $690 per head, bulls and heifers- the same price. At the moment prices are getting lower. In summer got $3/kg liveweight, now couldn't get even $2.5/kg. 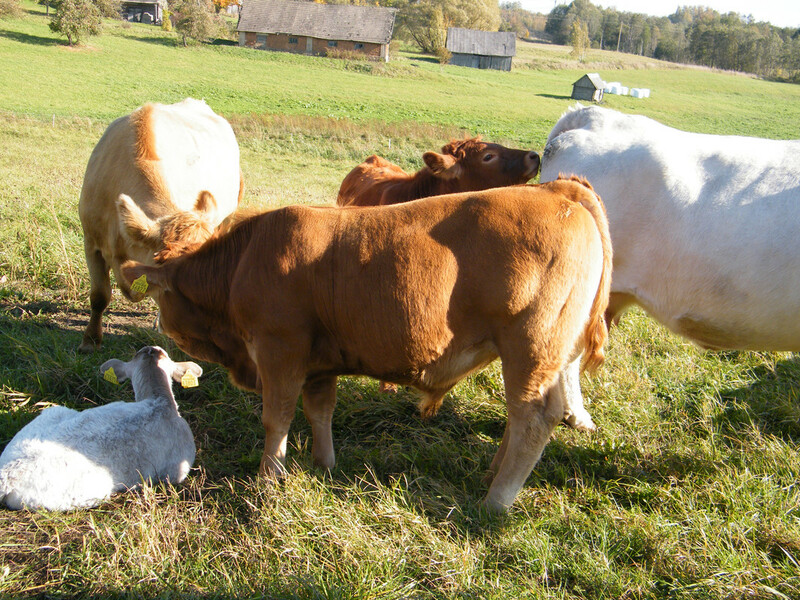 Some photos of the calves. Weights of bulls might be up to 770lbs. There are some very big ones. Most should be around 600lbs. 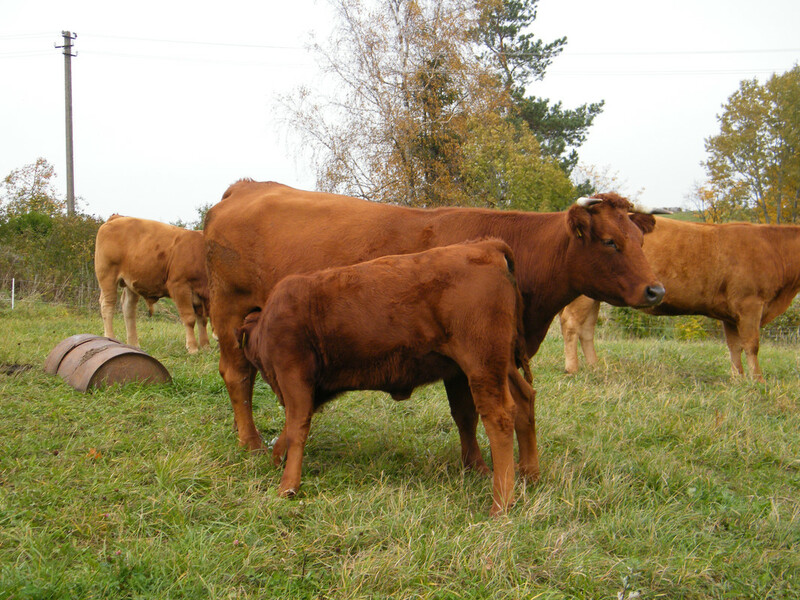 Heifers should be 480-550lbs, end of March-May born. Bulls were born in February-May. Most photos were taken in the rush when the buyer asked for some photos. Have been negotiating on the price for over a week. 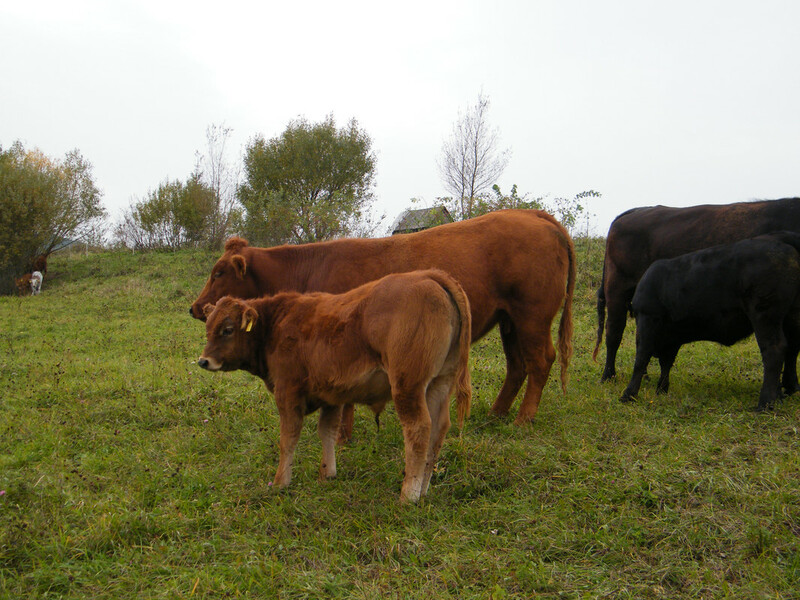 Bull calf out of double muscled heifer- standing behind. 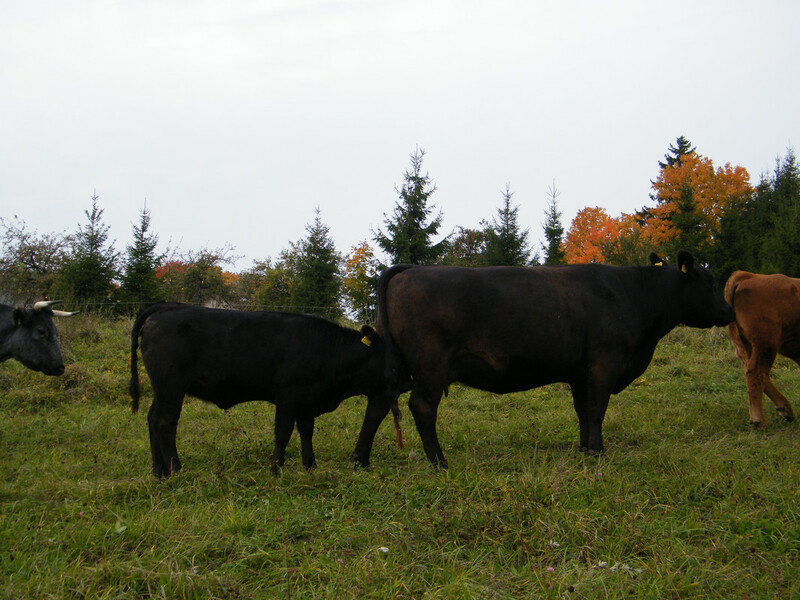 Cow with her own and an adopted calf. They sure look like siblings.